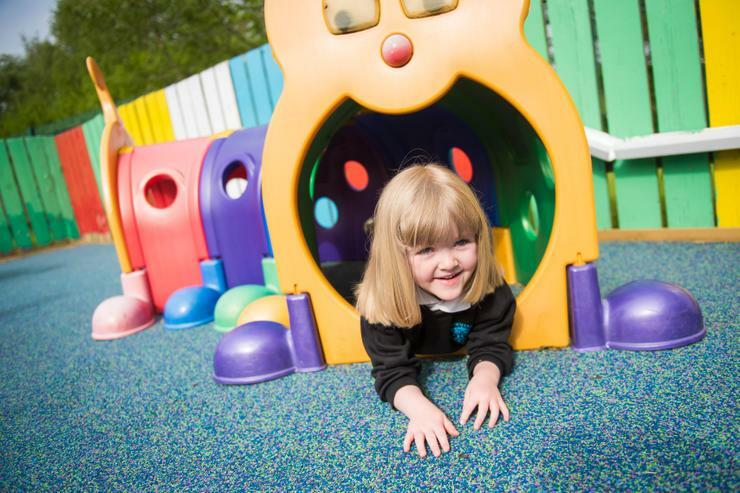 Our Nursery has 26 places and operates each day from 9:00am until 1:00pm. 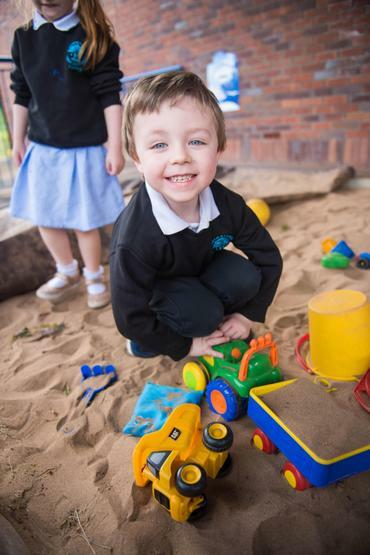 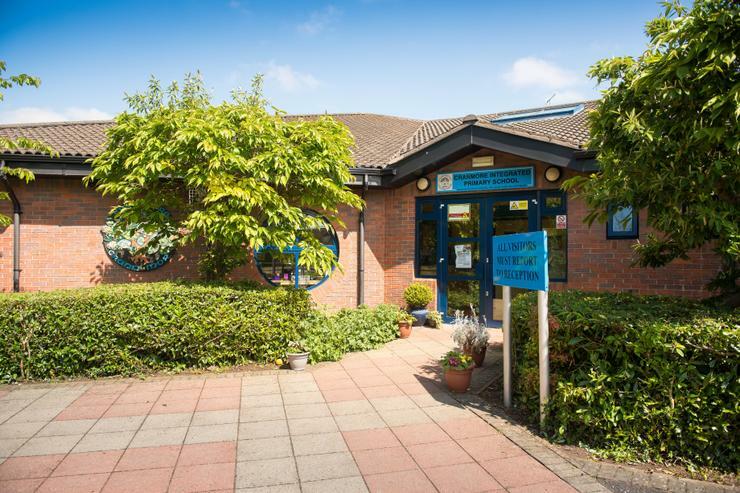 The Nursery is staffed by a teacher and a nursery assistant. 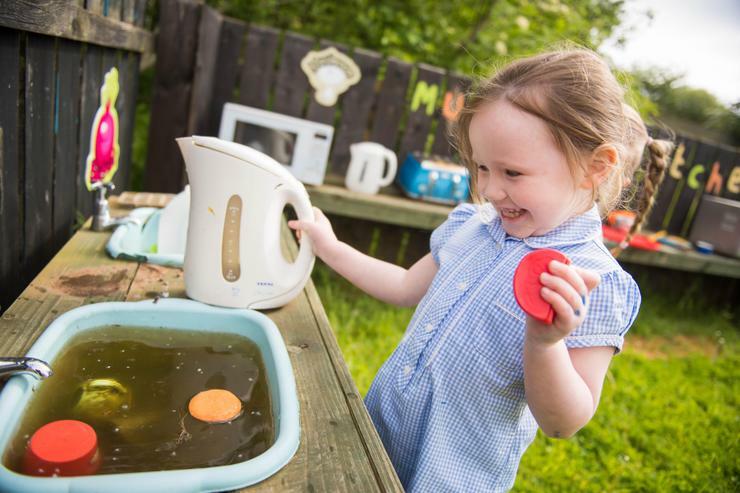 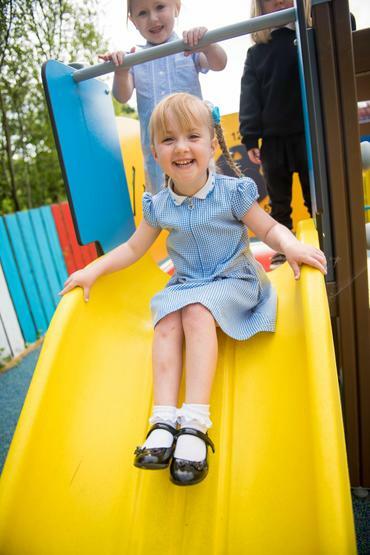 The nursery day will also include stories, rhymes and jingles, snacktime, which will sometimes include preparation or cooking/baking, toilet routine and occasionally walks. 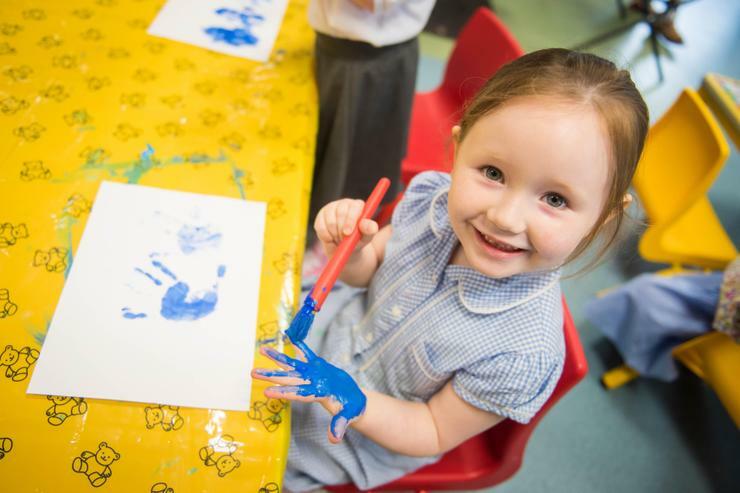 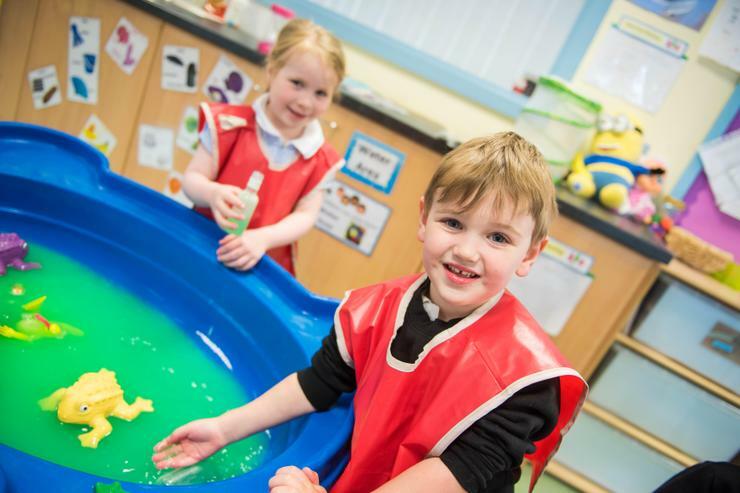 By giving the children opportunities to experiment with a wide variety of materials, in art, craft, sand, water, dough, paint, home corner, dressing up, table top toys etc. 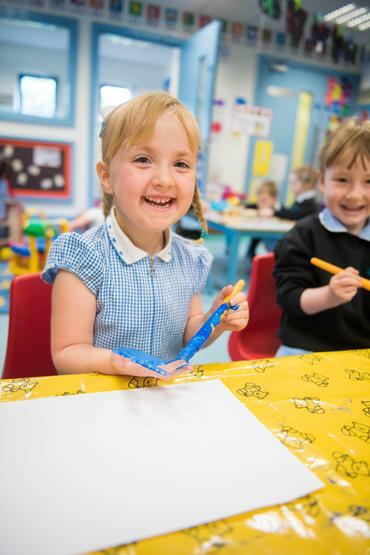 they are encouraged to be creative and expressive. 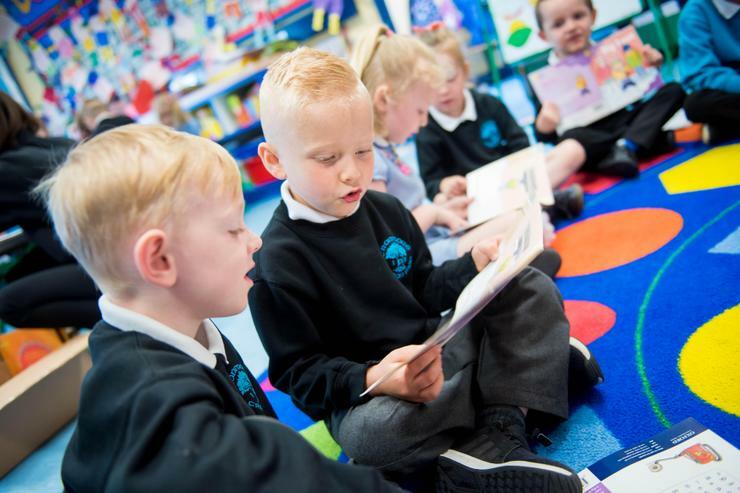 Teachers are also aware of the necessity to encourage the child’s use of language in many situations, including books, stories, poetry, rhymes and songs. 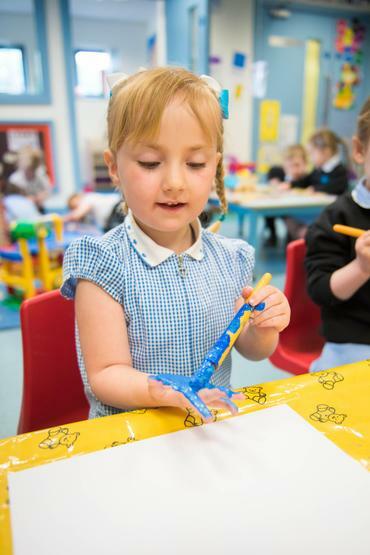 Painting and junk art help with imagination, fine motor skills, self expression and creative skills. 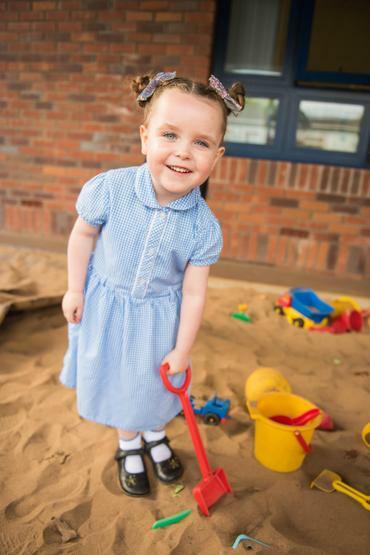 Dressing up helps awareness of other professions and their environment and gives an opportunity to act out fears and anxieties. 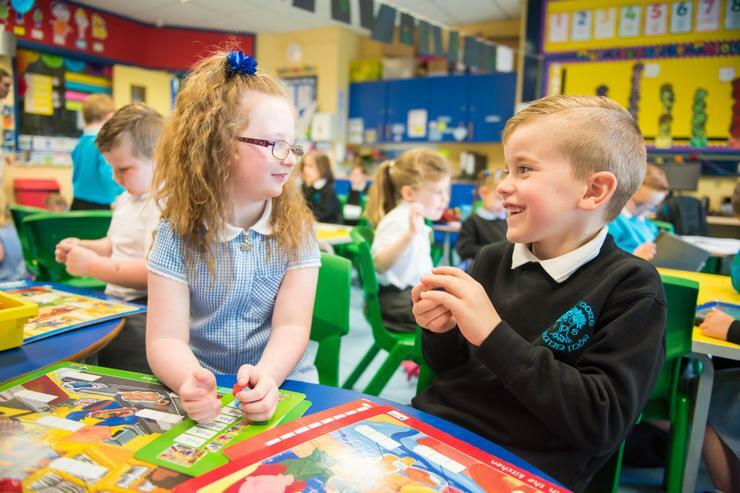 Sharing books and conversation help with listening skills and language development. 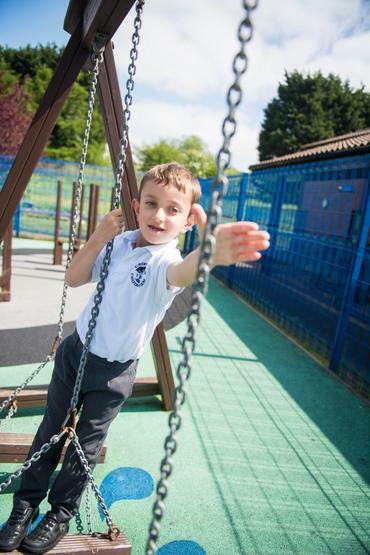 Physical play, both indoors and outdoors improves gross motor skills. 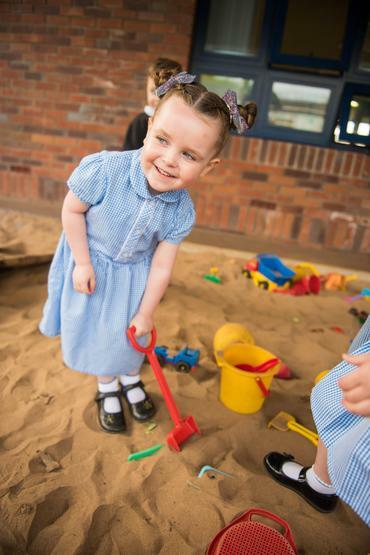 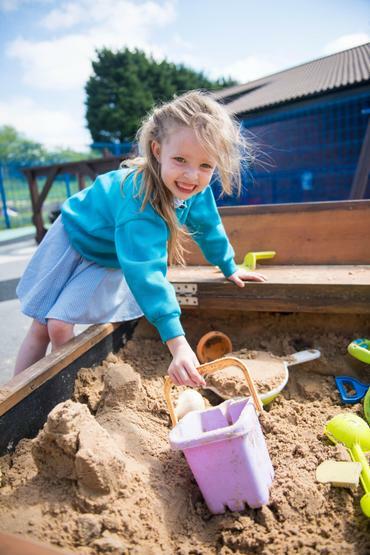 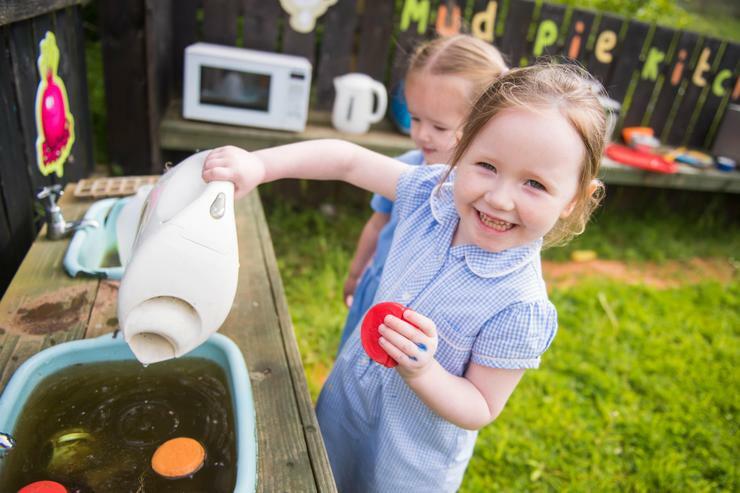 Water and sand play develops mathematical and science skills, hand-eye coordination, fine motor skills and an understanding of weight, volume, capacity, etc. 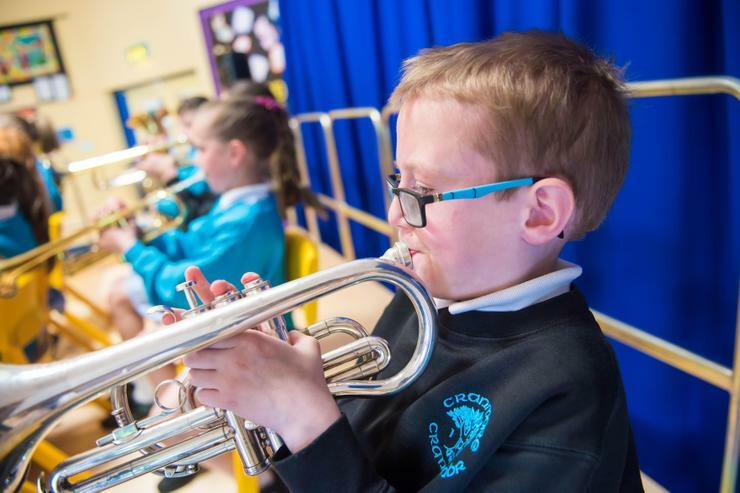 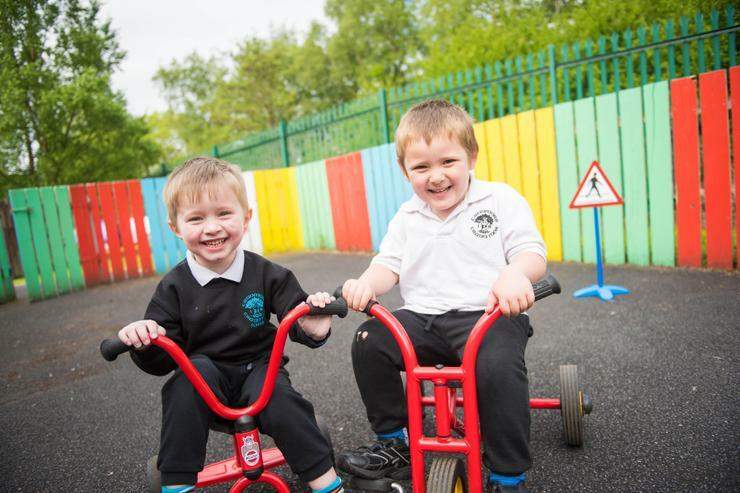 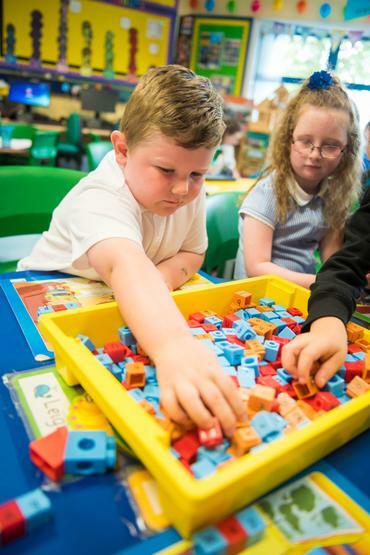 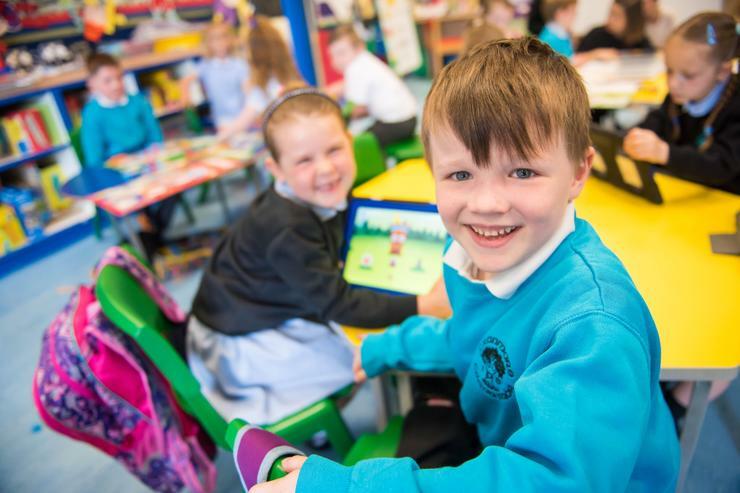 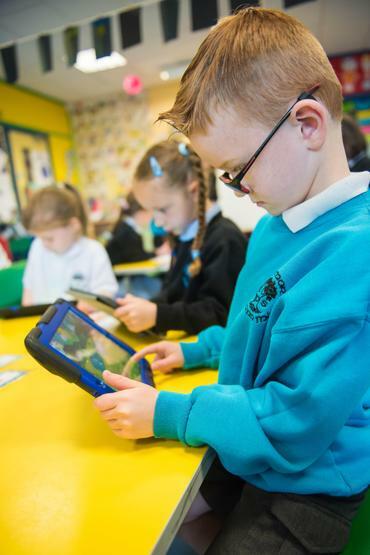 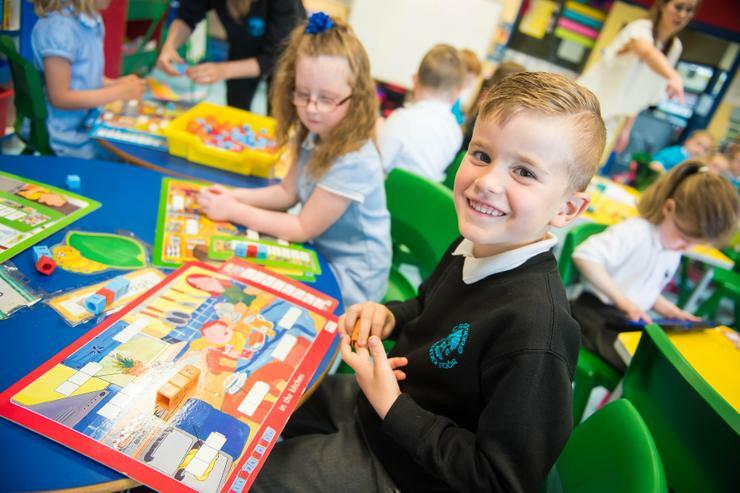 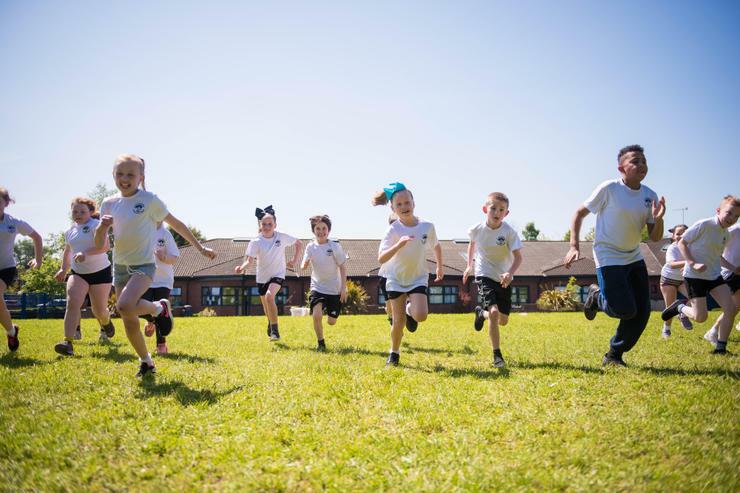 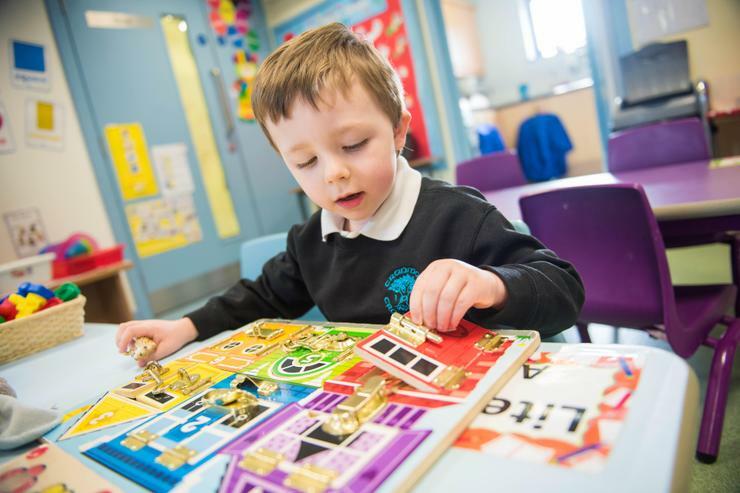 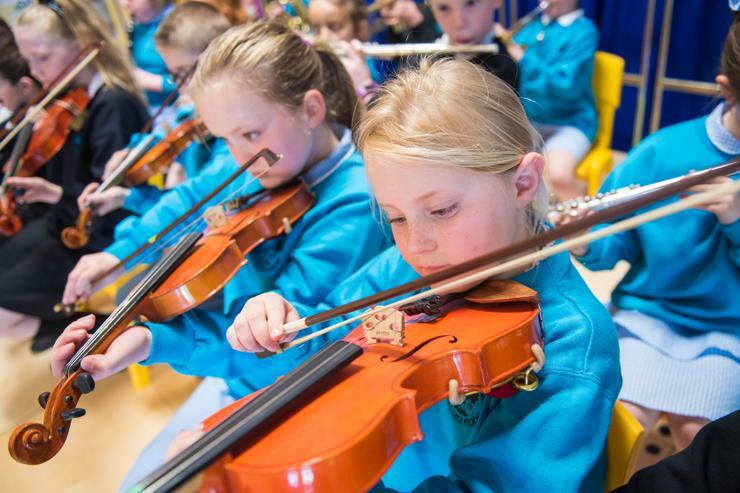 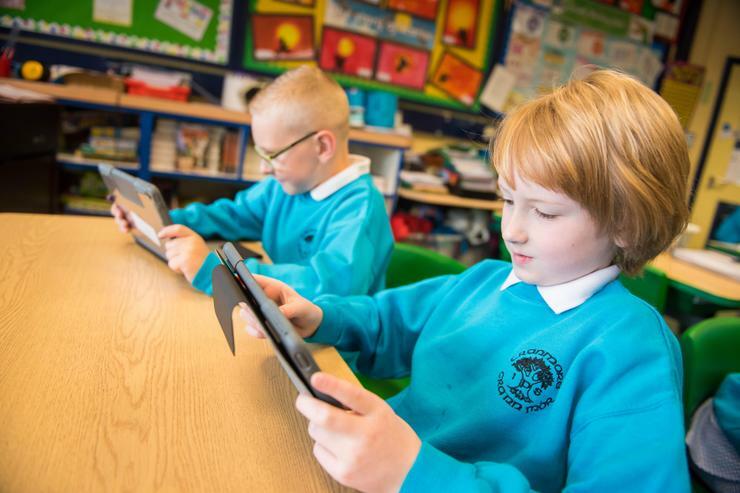 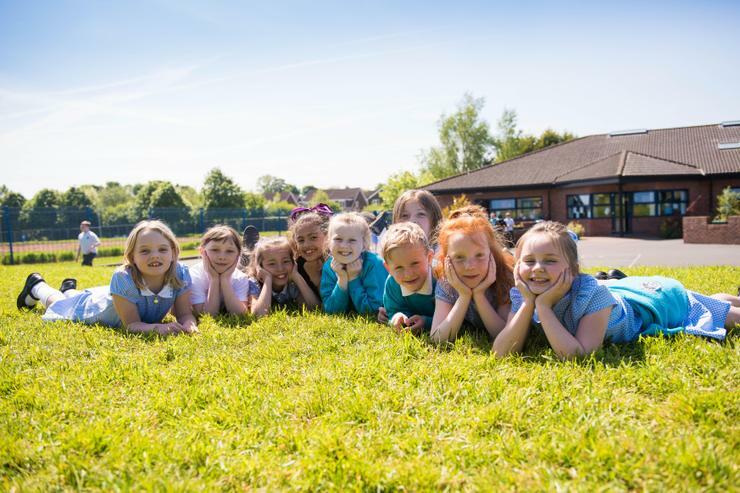 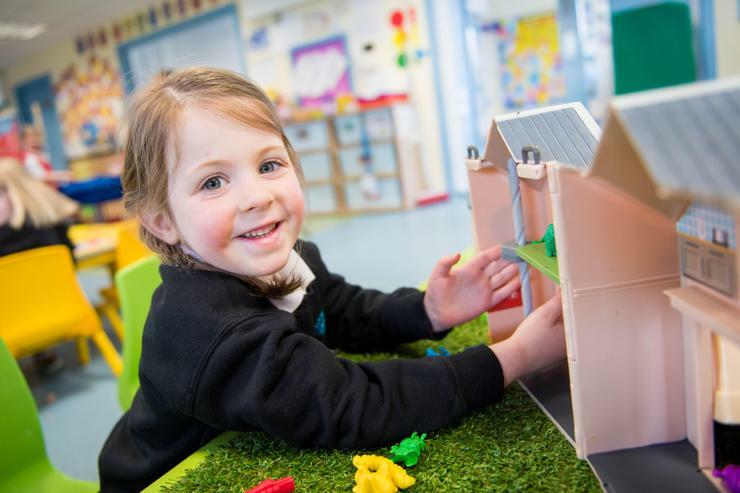 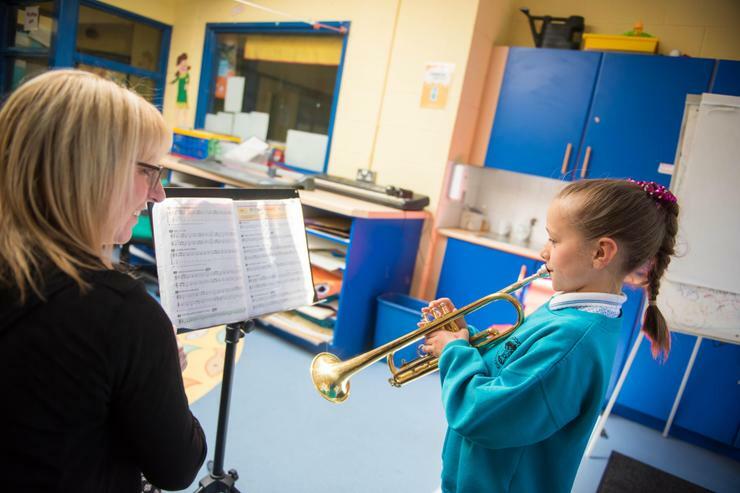 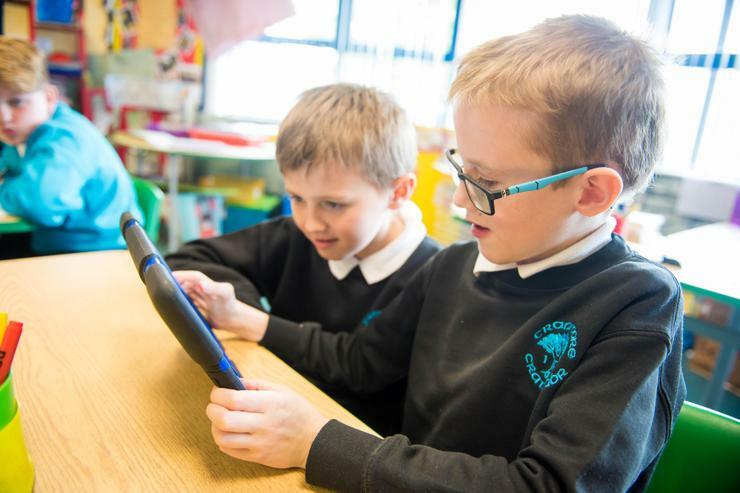 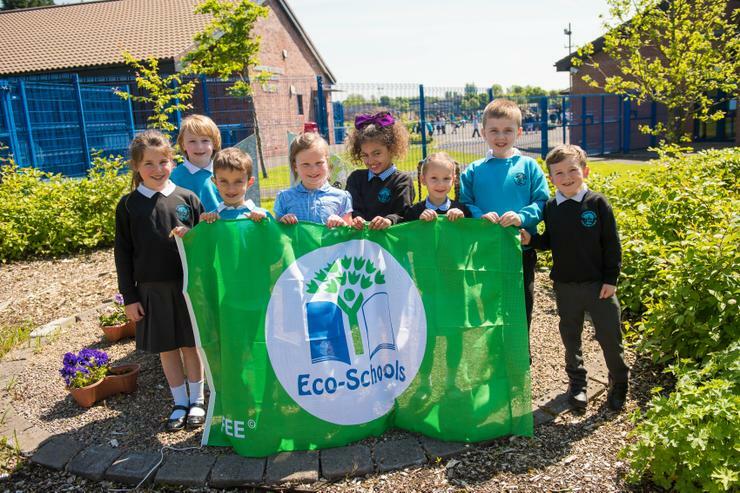 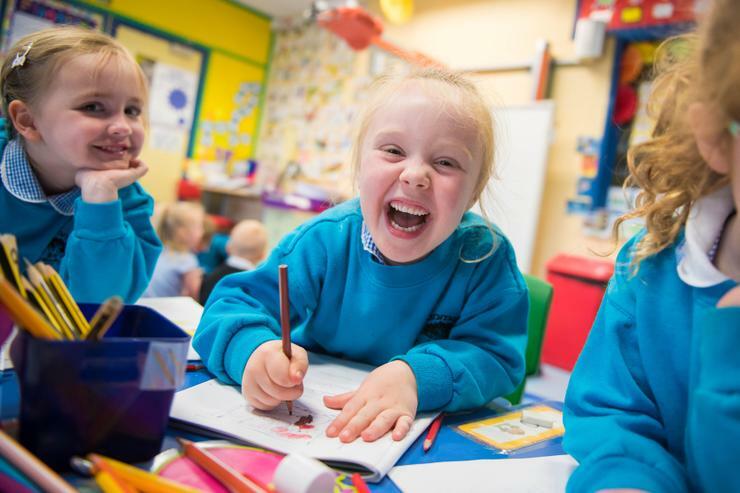 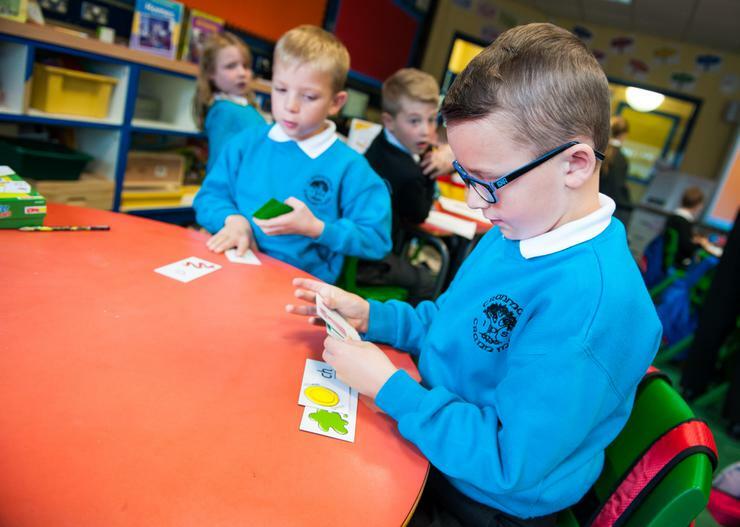 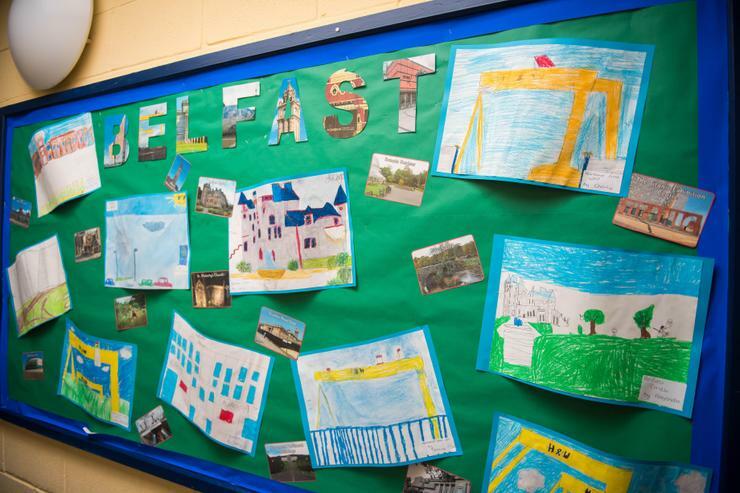 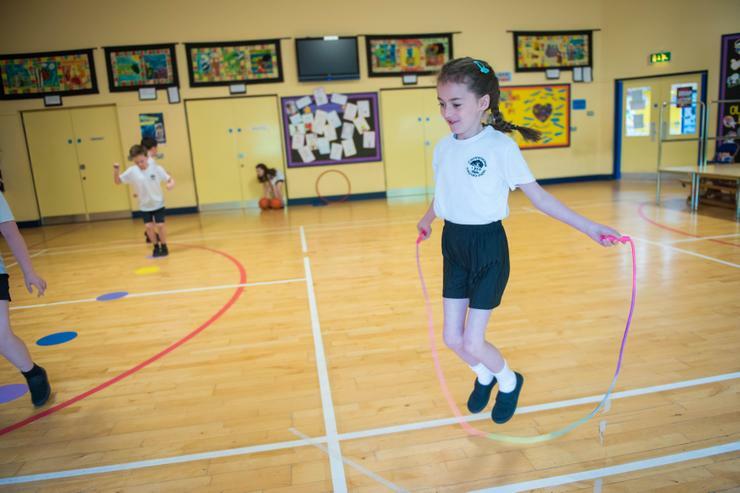 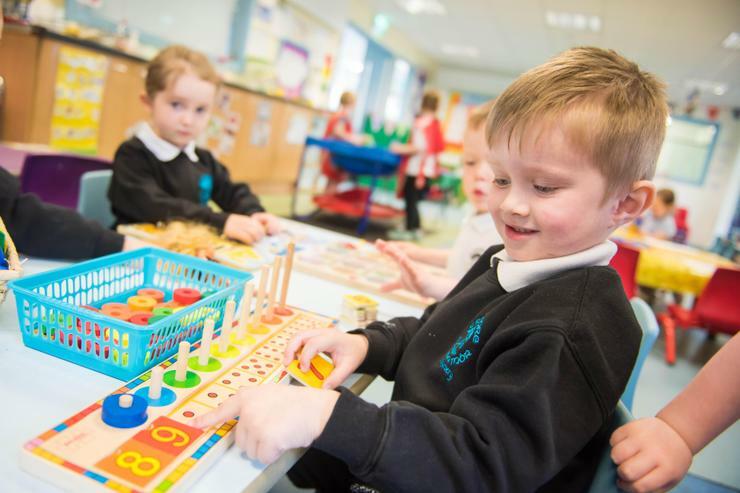 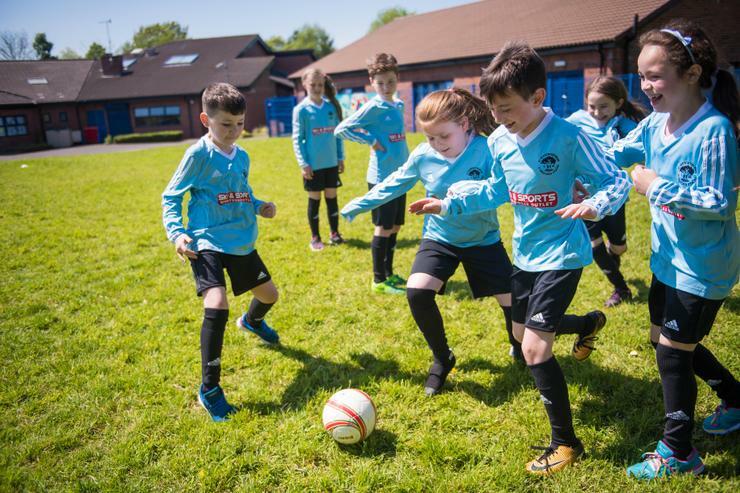 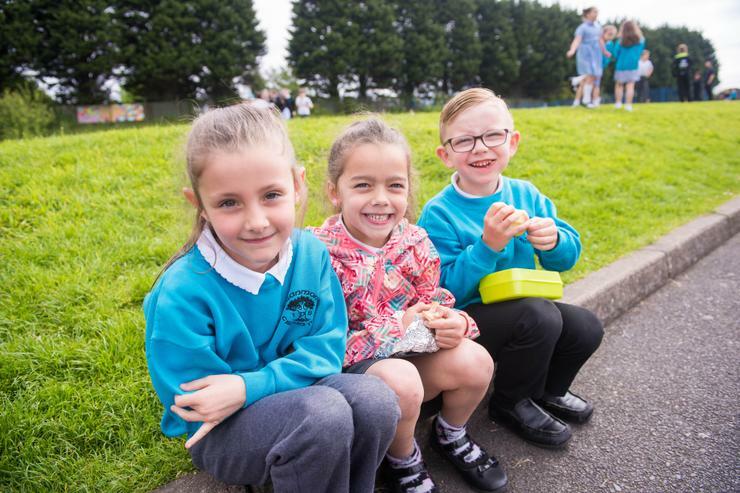 We deliver the full range of subjects within the Northern Ireland Curriculum for Primary Schools ensuring there is a broad and balanced education. 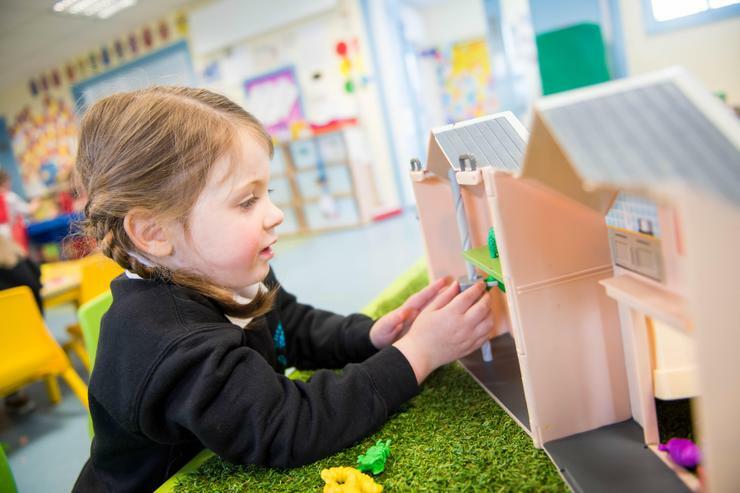 Further, we endeavour to make school an exciting experience by enhancing learning through a variety of themes and activities. 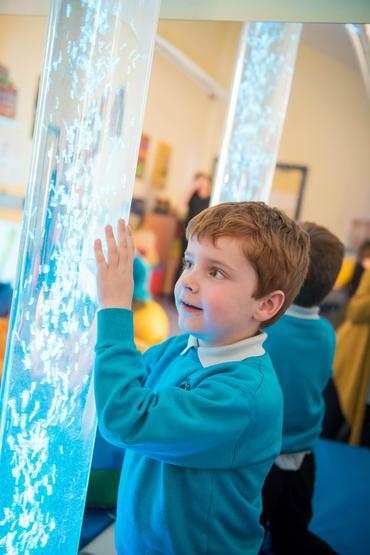 ‘Interactive Hour’ allows a child the opportunity to learn through engaging in curriculum-based games, resolving problem-solving activities or accessing the wealth of learning experiences, which our new ICT room can provide. 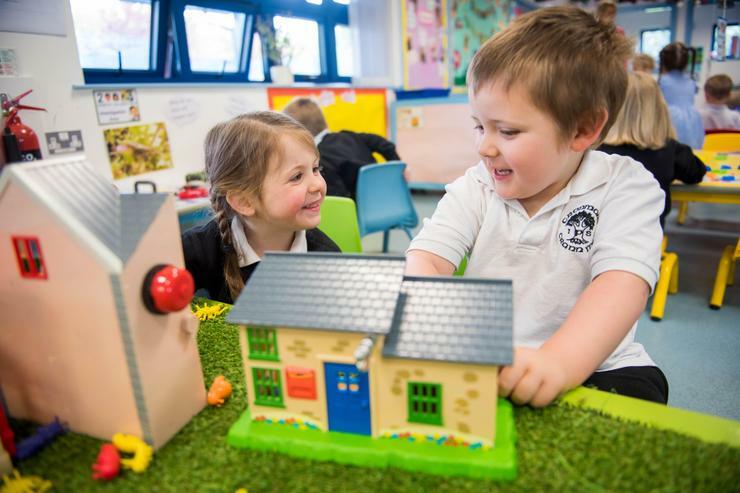 ‘Circle Time’ helps children develop respect for themselves and others through discussing problems and looking at ways of improving working together. 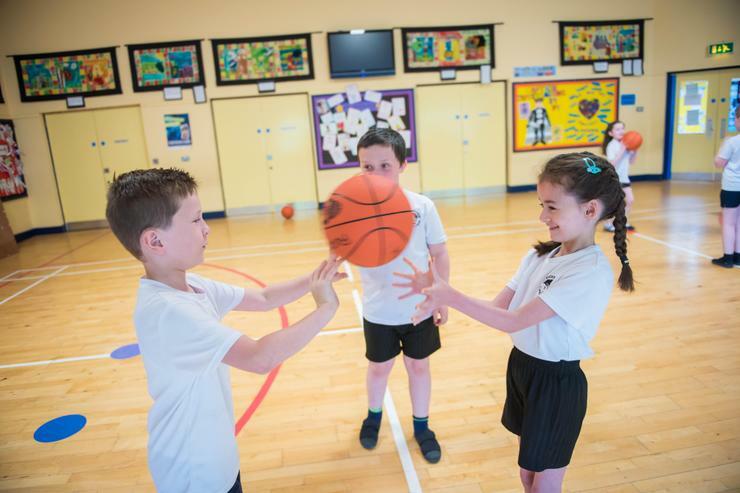 This is extended through the educational theme of PDMU (Personal Development and Mutual Understanding), which gives pupils opportunities to develop life skills such as conflict resolution, citizenship and learning to respect themselves and each other. 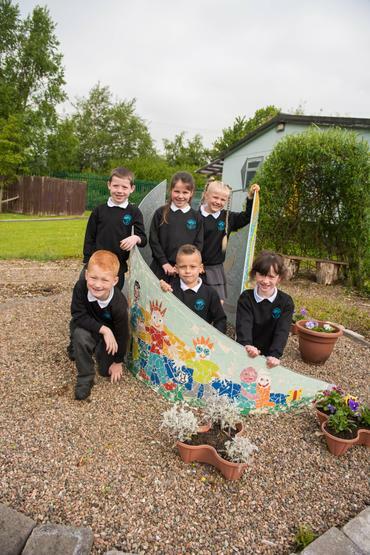 PATHS (Promoting Alternative Thinking Strategies) is a PDMU programme used across the school. 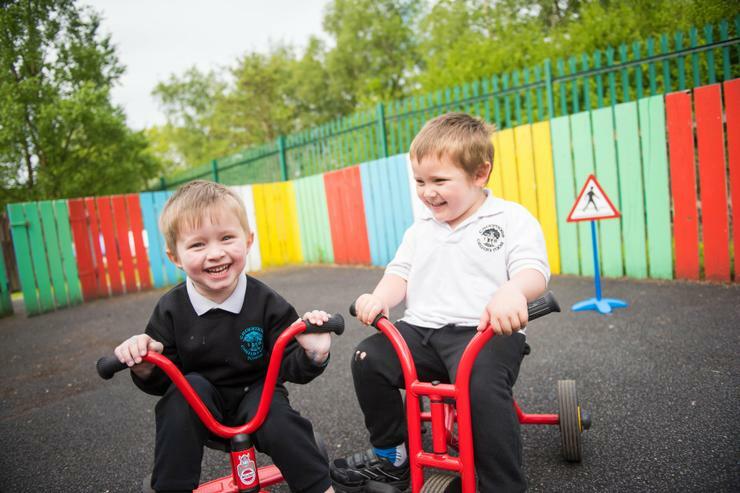 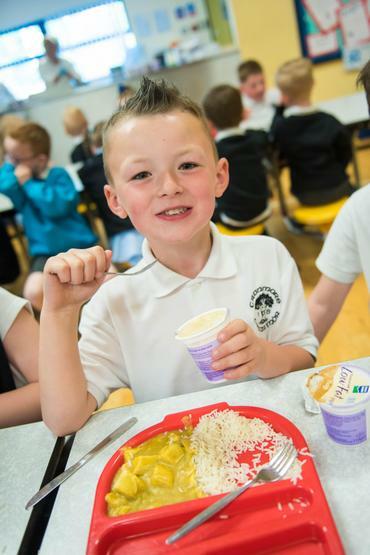 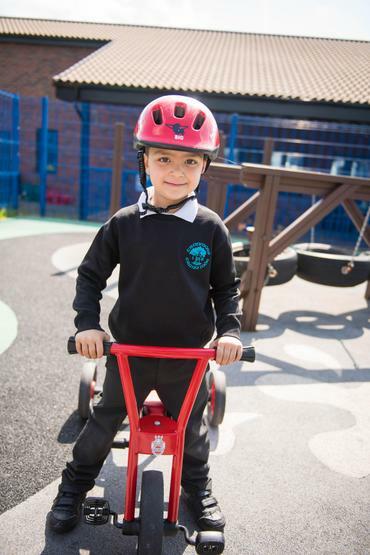 The programme aims to support our pupils in developing their social, emotional and inter-personal skills. 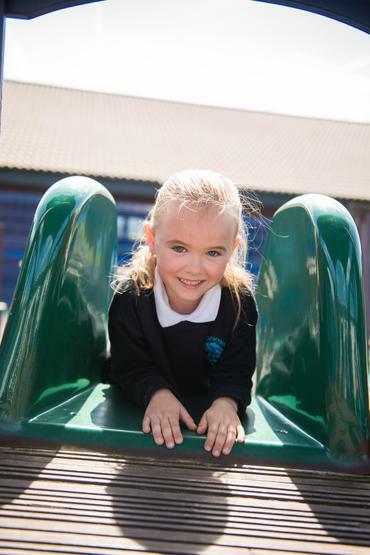 We will be looking at developing a greater understanding of feelings, emotions and the ability to manage the different relationships we have with key people in our lives. 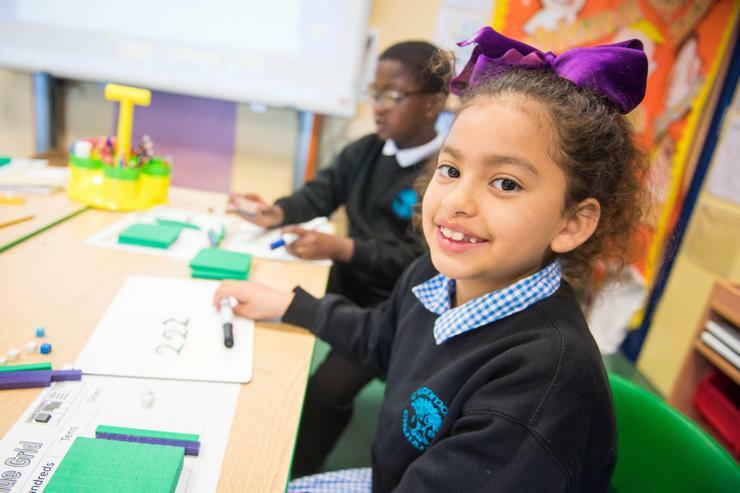 The pupils will have two lessons per week and will often have follow-up work to complete at home. 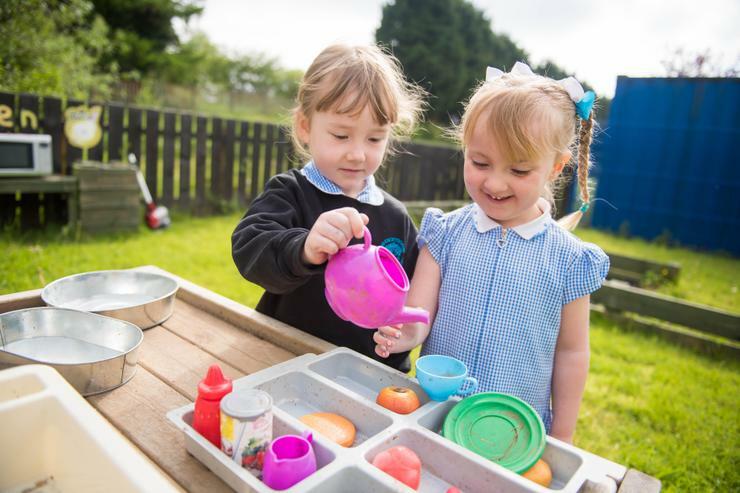 Please look at the information sent home so that you can support your child in developing these very important life-skills. 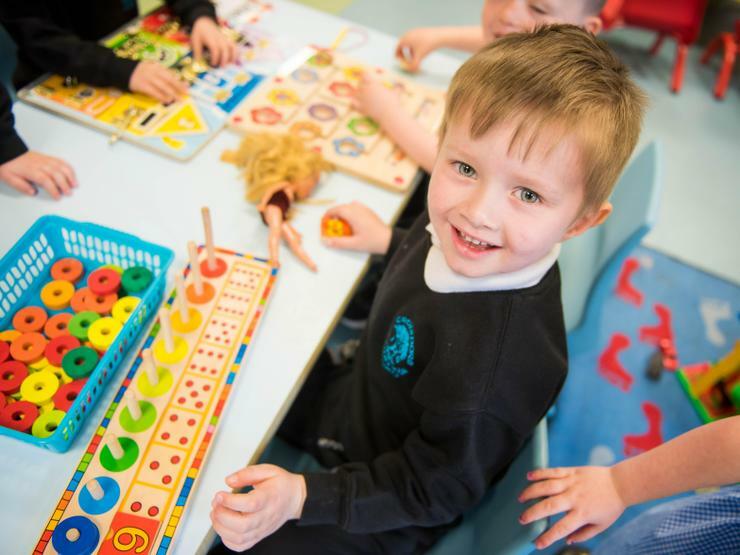 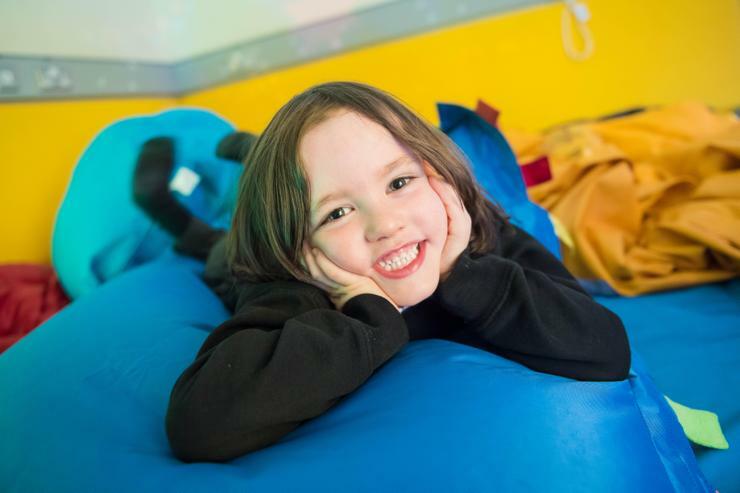 We believe that if this programme is fully embedded at school and at home it will help the children to be happier, more confident and more self-aware. 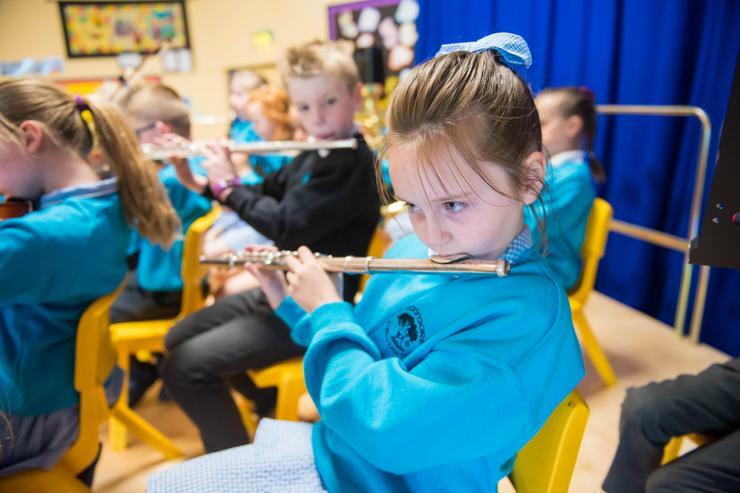 This can only improve their learning experiences. 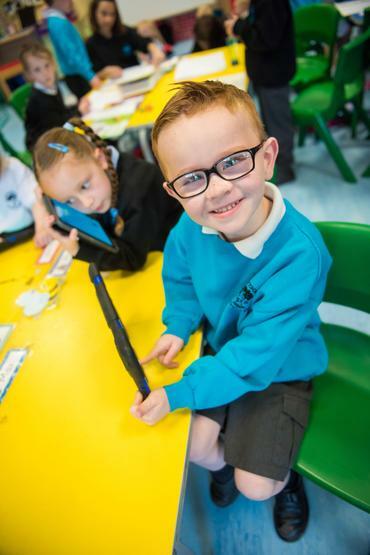 As part of the programme a child in each class will be ‘Pupil of the Day’. 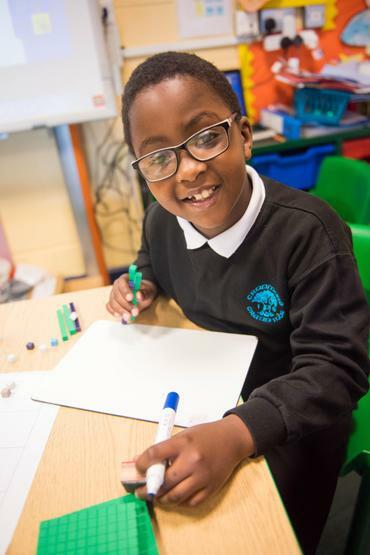 This child will receive a ‘Compliments List’ from school that will show compliments given by their class teacher and their peers. 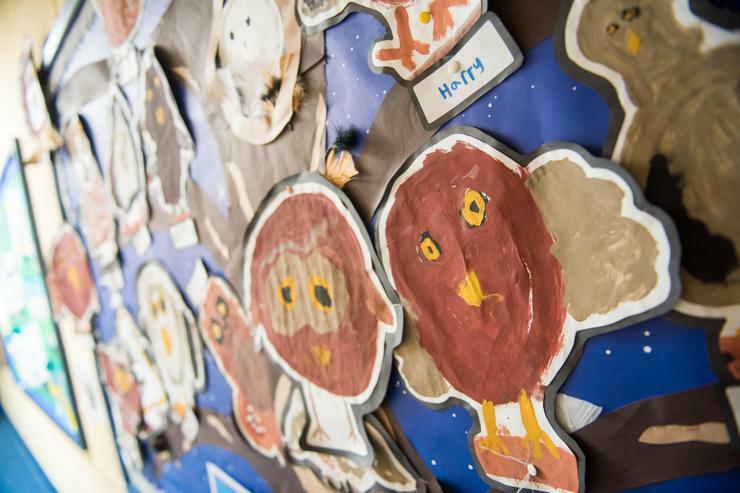 Please add a compliment from someone at home and return it to the teacher the next day. 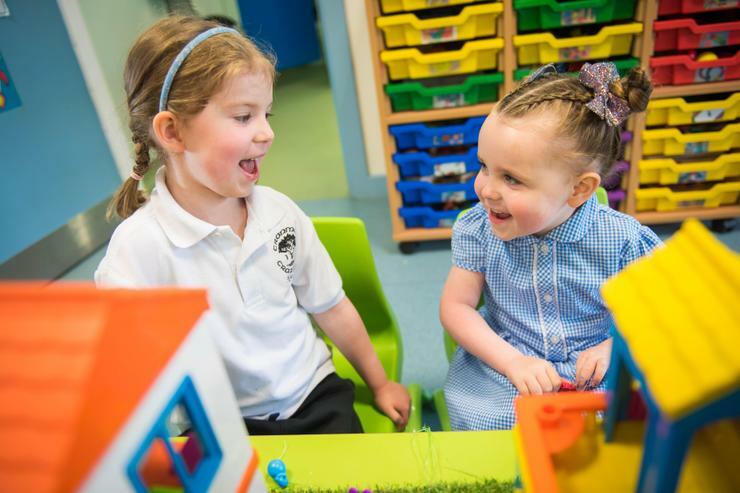 Take the time to celebrate the compliments given to your child and celebrate their wonderful qualities and skills. 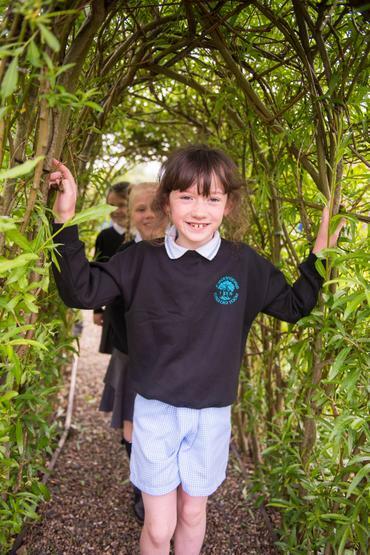 Key Stage 2 pupils carry out much of their work through workshops, museum visits and residential trips (based around environmental themes and outdoor pursuits) and through working with children from another local Primary School. 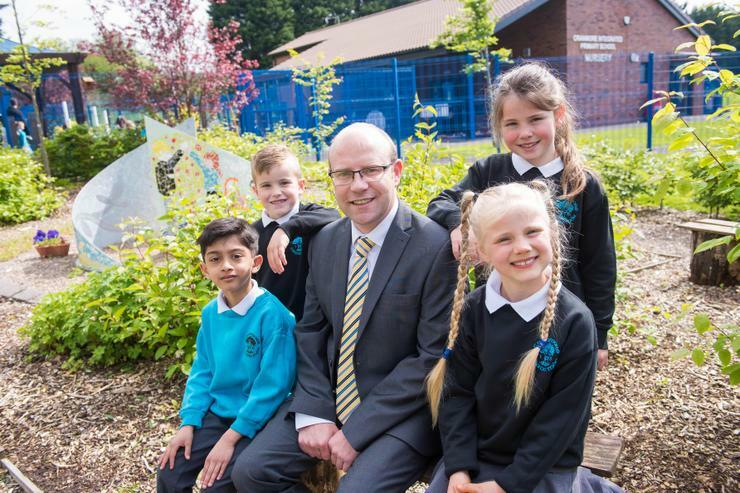 Recently the school has been involved with an exciting new project to help develop ‘thinking skills’. 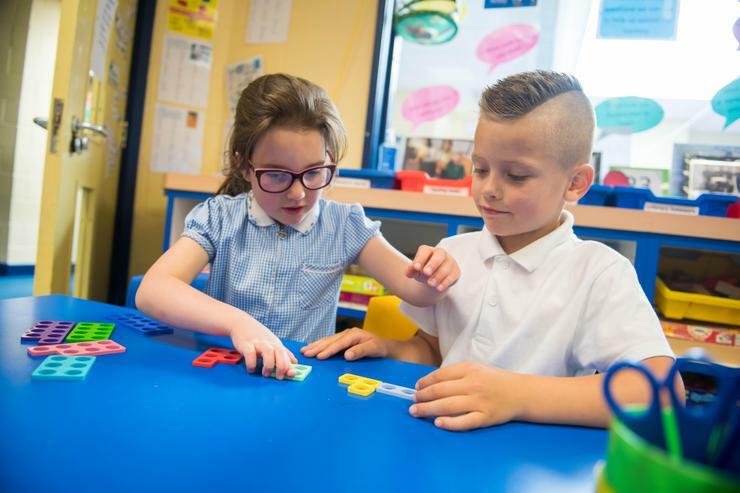 This work helps children think more carefully when making decisions or understanding other peoples’ views. 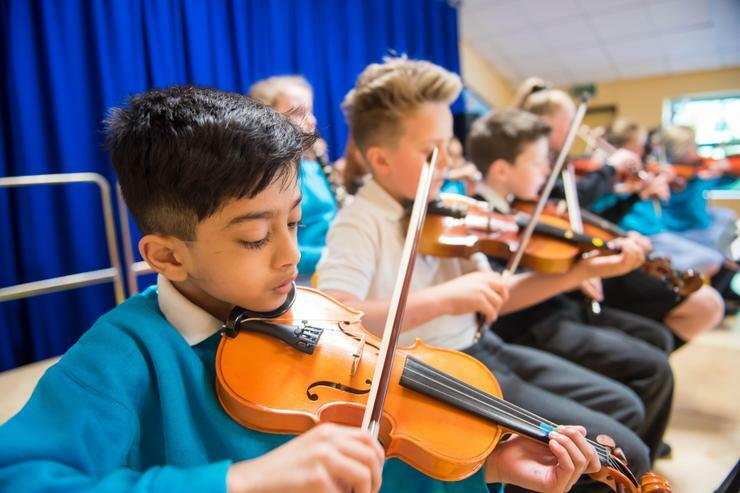 Another important aspect of our school is celebrating diversity which takes the form of working with local authors, artists and musicians and most importantly those traditions and cultures, which make our school a multi-cultural centre. 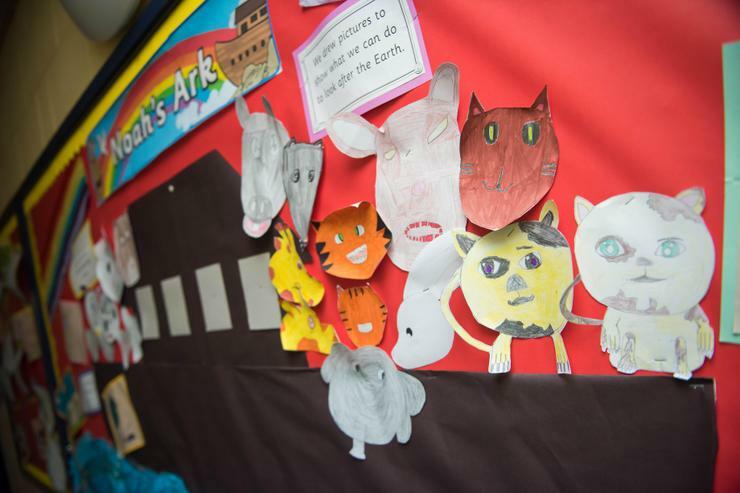 We help children celebrate the main Christian festivals as well Chinese New Year, Diwali and Ramadan each year through stories, music and artwork. 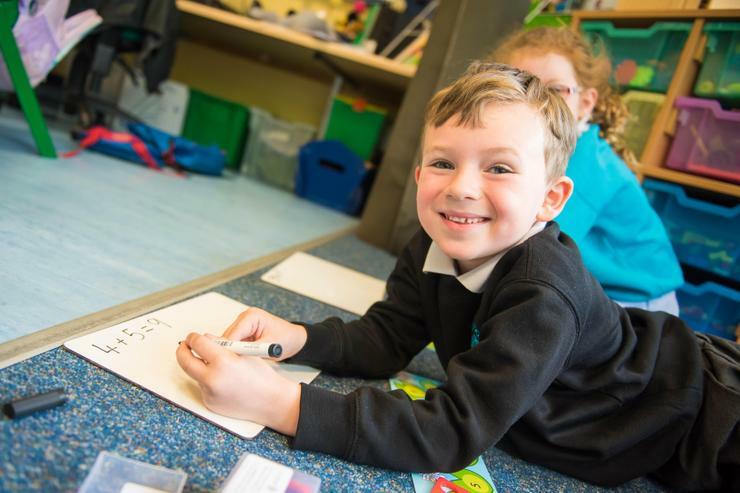 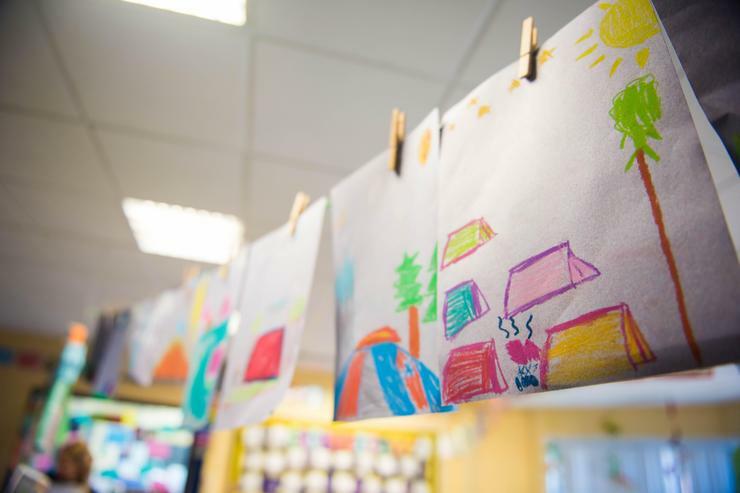 We also offer French in Primary 3, 4 and 5 and Spanish in Primary 6 and 7, which is proving to be a very popular addition to the children’s learning and enriching many of their summer holidays!